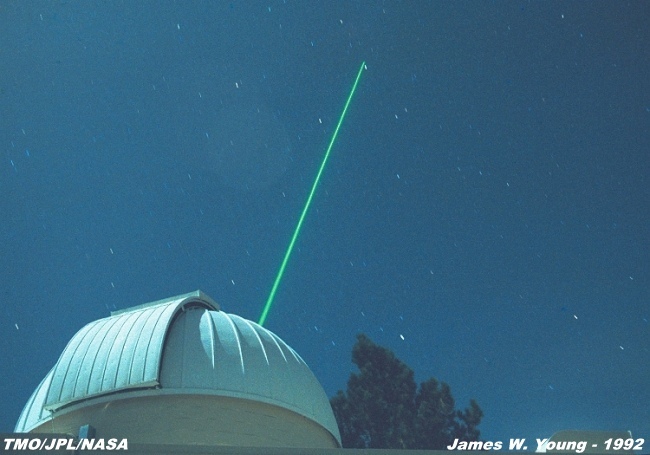 path in the upper left center of the photograph (the beam is entering the telescope at a 34 degree angle). millijoules, so that the output consisted of 40 megawatt pulses. 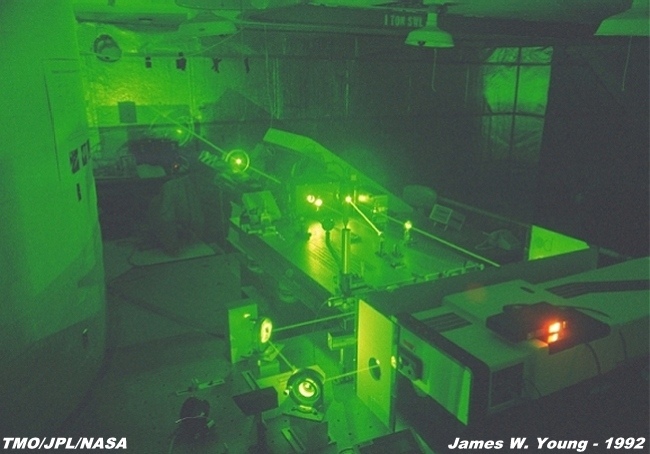 technique at the Image Processing Laboratory (IPL), also located at JPL in Pasadena, California. 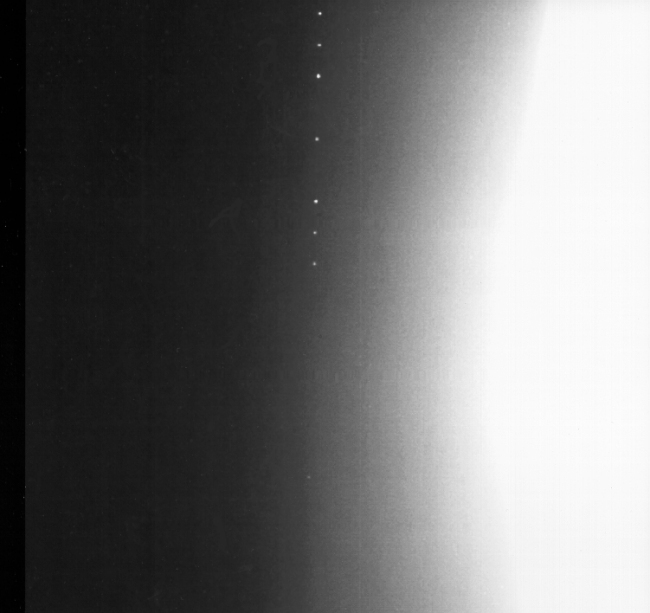 Laboratory's Starfire Optical Range near Albuquerque, New Mexico from December 9 to 17.
spacecraft on the 6 assigned days it had.